The plot of the movie GROUNDHOG DAY is probably familiar to you. The protagonist is by some never explained twist of the spacetime continuum fated to live and relive and relive February 2nd in the town of Punxsutawney, PA. Pretty soon he knows everyone in town, and exactly what they will do and say. He is driven almost insane by the monotony and the lack of new ideas. Sometimes I feel that we in the financial services industry are trapped in our own version of Groundhog Day. While going through some papers I stumbled on this essay which I wrote in September, 2014. Rereading it today, I am not sure I would change a word. Our discussion of housing in Canada has been stuck in Groundhog Day. Here is the essay, unaltered. September 2014 – Is the Canadian Housing Market Due for a Correction? Pretty much everyone likes to talk about house prices, particularly here in Toronto. Maybe that’s because we all have to live somewhere, and for most of us, our house is a major asset. The question of whether Canada is having a real estate bubble, similar to what occurred in the U.S. in the period from 2004 to 2008, continues to get a lot of discussion in the press. Here are our thoughts on the subject. House prices are at historic highs compared to income. Economists measure the ratio of the average price of homes to the average family income as a way of seeing if prices are high, low or average. Over the last forty or so years, the ratio has been about 3.5 times – that is, if average family income is about $100,000, the average house would sell for about $350,000. Over the last five years this ratio has increased rapidly to the present level of about 5.5 times. This would indicate that houses are very highly priced, certainly in comparison to the recent past. House prices are at historic highs compared to rents. Another way of looking at house prices is in regard to the income they would produce if rented. If a house costs $500,000 and would rent for $25,000 per year, it produces a rental income of 5% of its price. If the same house sells for $600,000 a year later but the rental income remains the same, the price to rent ratio goes down to 4.2%. By this measure, Canadian house prices have become about 20% more expensive in the past five years, and many economists would advise renting instead of buying, as rents are a comparative bargain. House prices have doubled, after inflation, in only 10 years. Over the long run, house prices tend to appreciate more or less at the rate of inflation. Doubling over 10 years is a real (ie after inflation) increase of about 7.7% per year compounded. This is a faster increase than at any time in the past sixty years, and far outstrips the growth of the economy. Today’s $400,000 mortgage carries for the same amount as the $300,000 house of 10 years ago and for less than the $200,000 house of 30 years ago. Housing, like all goods, responds to demand and supply. The demand for housing in Canada’s major cities has been driven by foreign immigration in the case of Toronto and Vancouver, and internal migration in the case of Calgary. Canada receives more immigrants and has more foreign born residents than any other G8 country. Of the 1.2 million immigrants who came to Canada between 2006 and 2011, an amazing 381,700 settled in greater Toronto. About 155,000 settled in Vancouver. This has increased housing demand in Toronto by at least 25,000 units per year, equal to 40 large high-rise condominium buildings per year. Coupled with this has been a large demand by foreign residents for Canadian real estate as a safe haven investment. Combined with a normal rate of household formation, it is not surprising that supply has struggled to keep up with demand, and that prices have gone up. Prices per square foot are lower than other major world cities. Real estate is a desirable asset class and sophisticated investors compare prices in cities around the world. Prices for high-end condominiums in Toronto are considerably lower than those in other major cities in the world; in fact, Toronto does not even make the “Top Twenty” list for expensive housing. Being a world class city means paying world class prices for housing. Canadian lenders have been conservative in regard to extending mortgages to existing and first-time home buyers. Initiatives by the Federal government have resulted in shorter amortization periods, higher down payments and greater use of insurance. As a result, most analysts believe that none of the major Canadian lending institutions is at risk of significant loan losses from residential real estate, even if prices fall by as much as 25%. 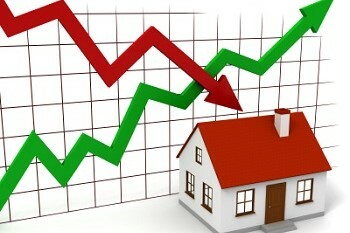 There is no upward pressure on mortgage rates in the short term. The big risk, particularly to first-time home buyers, is that mortgage rates will increase on floating rate loans, or upon renewal of fixed rate loans. The Bank of Canada has signaled that interest rates will remain low for at least another 18 months, and possibly for longer. There is no realistic possibility of carrying costs on mortgages exploding upwards in the next few years. Canadian law discourages high mortgages and mortgage default. Unlike many US states, all mortgage loans in Canada are personal obligations of the borrowers, which exist even after a mortgage has defaulted and the real estate sold. A mortgage default here often means personal bankruptcy and loss of all assets. Moreover, since interest on mortgages is not tax deductible in Canada, most borrowers here wish to reduce their mortgages as quickly as possible, unlike the US where a high mortgage means lower taxes. We don’t know if house prices are too high, too low or just right. 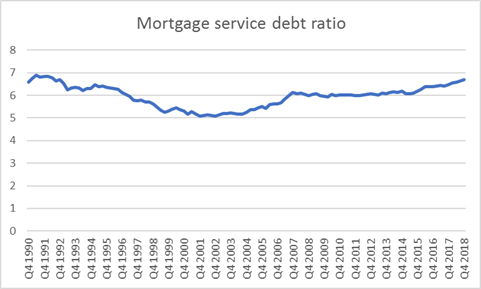 Even if there should be a sharp drop in prices in the current hot markets, we are convinced that there is no real possibility of the kind of credit crisis that engulfed the US housing industry from 2007 to 2009. The conditions and the situations are entirely different. As usual, Canada will most likely muddle through.